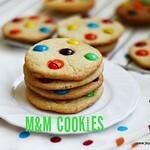 M and M cookies is in my to do list for a very long time. I used the gems, you can replace it with chocolate chips too. My kids loved the cookie very much, even the little one who is not so fond of home made cake or cookies, loved it very much. 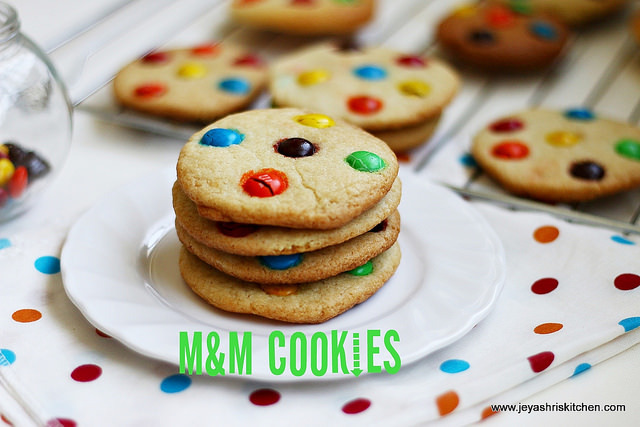 Try out this easy eggless cookies . I used butter in this cookie and you can replace with oil too. Both will turn out good. 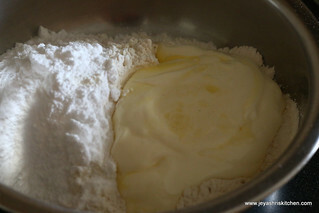 In a wide bowl add the flour and baking soda. Powder the sugar and add it to the flour. Sieve well for even mixing. Mix the butter and milk till creamy. Mix it to the flour, sugar mix and make a soft dough. 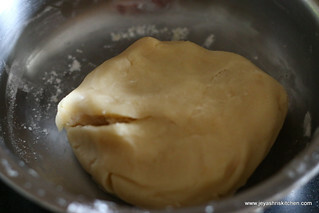 If you feel the dough is bit loose, you can add 1 tblsp of flour to this. Take a portion of this and roll the dough. Cut this with a cookie cutter. Or you can make small round balls and flatten with your palms. I made my cookie big as i love the cookie in that way. Arrange the cookies in a parchment paper. 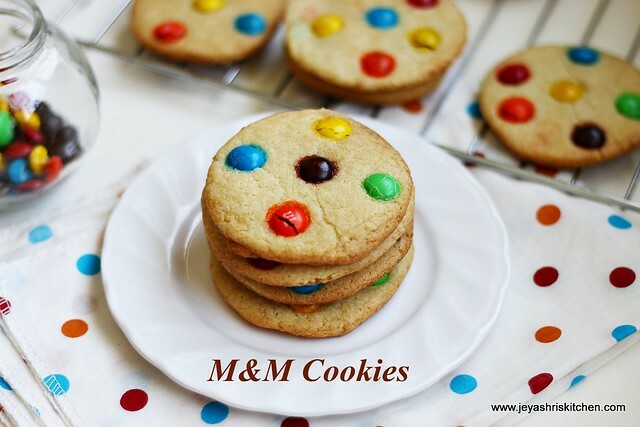 Decorate the cookies with M &Ms or choco chips. 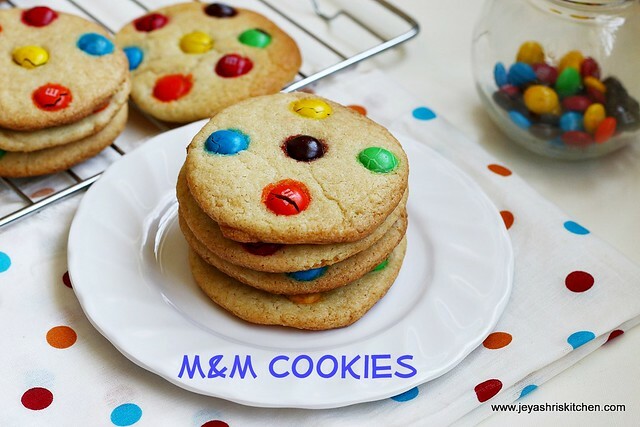 Bake these cookies for 10 -12 minutes. This cookies will be bit soft when hot. You cool them completely and then transfer it to a airtight box. These cookies slightly expand when they are baked. So keep them apart while baking. You can replace 1/4 cup of flour with 1/4 cup of cocoa powder to make a chocolate cookie. Looks tasty and colourful too. these look so good jey! Such a cute preparation, very nice recipe ! instead of adding the sugar then powder can we add powdered sugar itself half measure? 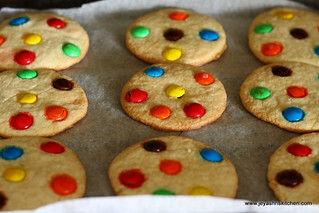 Hi Jeyashri, Your cookies looks really nice and yum. I tried this yesterday and added a combination of both gems and choco chips The biscuits came out nice and brown but not as crispy as I would like it to ....could it be because the butter was more ? Also, the measure for sugar that you mentioned, is that the measure of powdered sugar ? Hi! 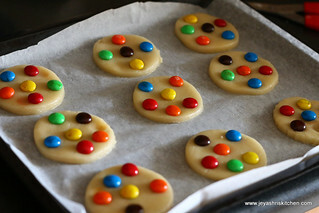 !Tried this cookies today..even after cooling the middle part is still soft..taste like cake. Also should we grease parchment? ?cookies struck on the sheet..dont know where it went wrong. Looks tempting..... Mam if v substitute oil for butter LL it be too soft or something? Hi happy to know. Wishes to your daughter. It sometimes depends on the flour too. That's why i have mentioned if the dough is loose add 1 tblsp of flour to that. 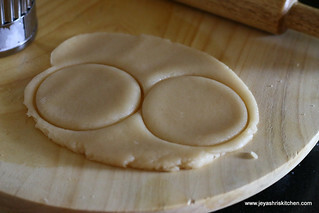 One more idea is keep then in the fridge for an hour and make the cookie. 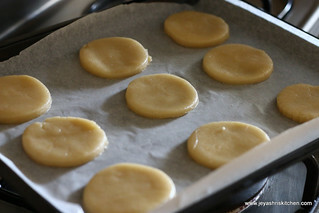 Oil for short bread cookeis like this not sure, but you can give it a try. Use 1/3 cup of oil. thanx a ton for replying..would love to share the pics with u..can u tell me where to tag u on insta?